A real eye-catcher with an innovative and unusual design. 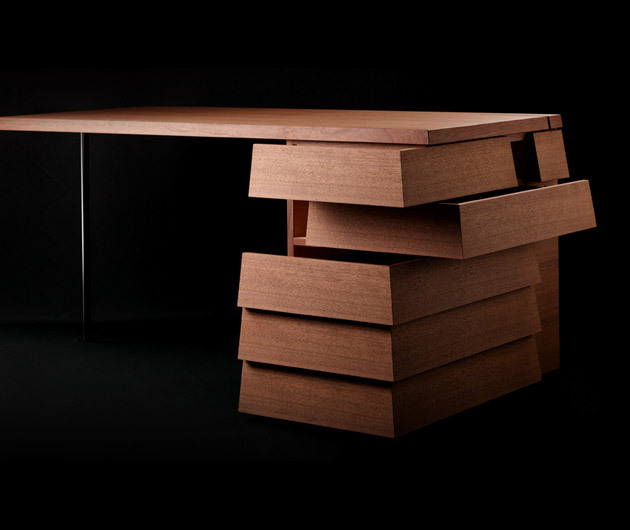 The Colors Cartesia Desk is a traditional handcrafted piece from Tokushima in Japan and boasts multiple storage features that include a clever two-directional drawer design that maximises access and eliminates blind spots. Available in two finishes: tamo tree or walnut.